Mr Gyöngyösi is a Member of the Hungarian Parliament, Deputy Head of the Jobbik Party and Vice-Chairman of the Foreign Affairs Committee. He graduated from Trinity College, Dublin, spending his early career there and speaks perfect English. 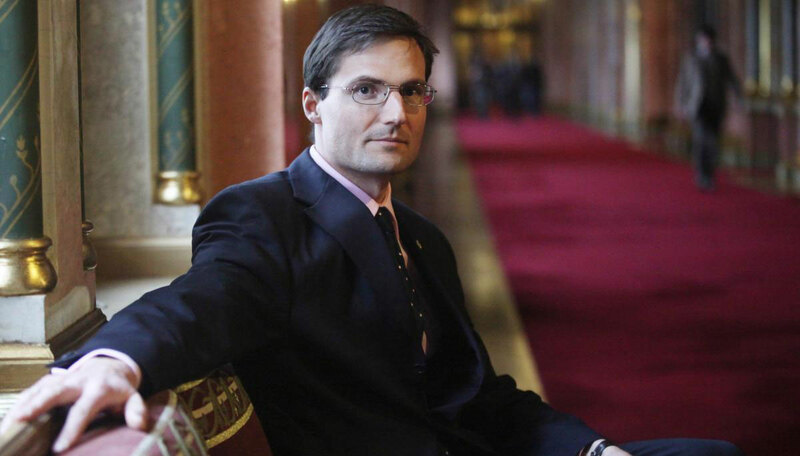 Márton Gyöngyösi is a Member of the Hungarian Parliament for the Jobbik Party and is the party spokesman on Foreign Affairs. The party describes itself as a principled, conservative and radically patriotic Christian party, whose fundamental purpose is the protection of Hungarian national values and interests. Needless to say the inevitable attacks have been made against it by the usual suspects. However, the so-called philosopher Agnes Heller, says that Jobbik have never been an extreme right party. Since 2014 Jobbik has redefined itself and dropped some policies which enabled it to be slurred and roundly attacked in the past. Its National Board unanimously decided in favour of a traditional right-wing conservative policy approach. In both the 2014 and 2018 national elections Jobbik’s vote remained steady at around 21% and the party has 23 seats in Parliament making it the second largest party. This helps ensure that its great political rival doesn't deviate far from the path. We regret to advise that reservations for our dinner are now closed. As ever to manage the smooth running of the event, the TBG reserves the right to restrict attendee bookings at our complete discretion. Those who we are unfamiliar with may be asked to demonstrate their bona fides. PLEASE NOTE: This is a 'black tie' event which will be held in a prestigious central London location for your full peace of mind and in glorious traditional surroundings. Those attending will be notified of the location late afternoon on the day preceding the conference.